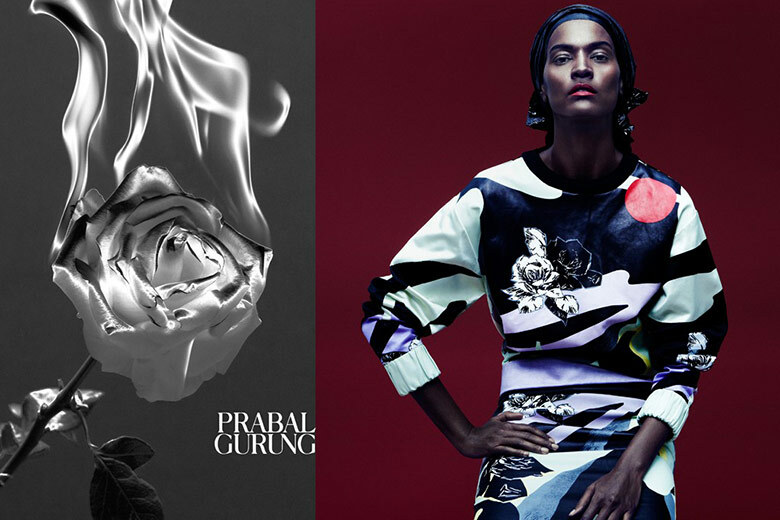 Lively patterns are acted out within vibrant colors in the Spring/Summer 2014 campaign for Prabal Gurung starring Liya Kebede. 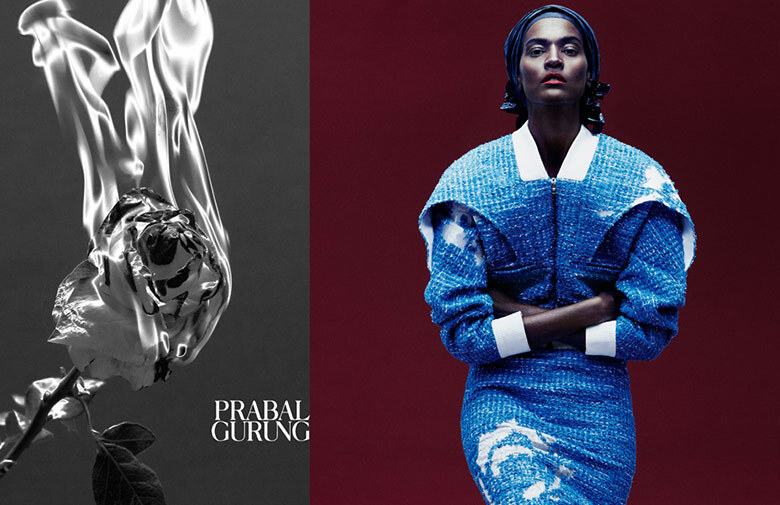 The Ethiopian beauty Liya Kebede is taking on the role as the new face of the Prabal Gurung’s S/S 2014 campaign. 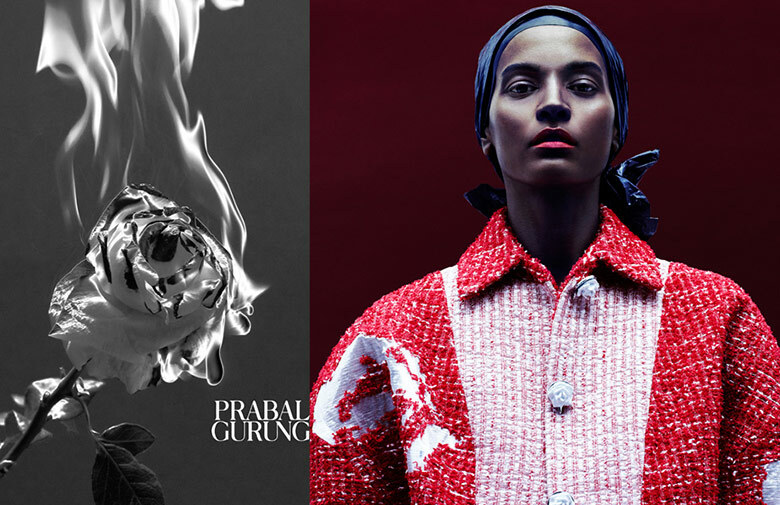 Posing against a dark red wall with a burning rose flaming up next to her, Liya is showing off some of the most exclusive items from the latest Prabal Gurung runway show presented in New York. 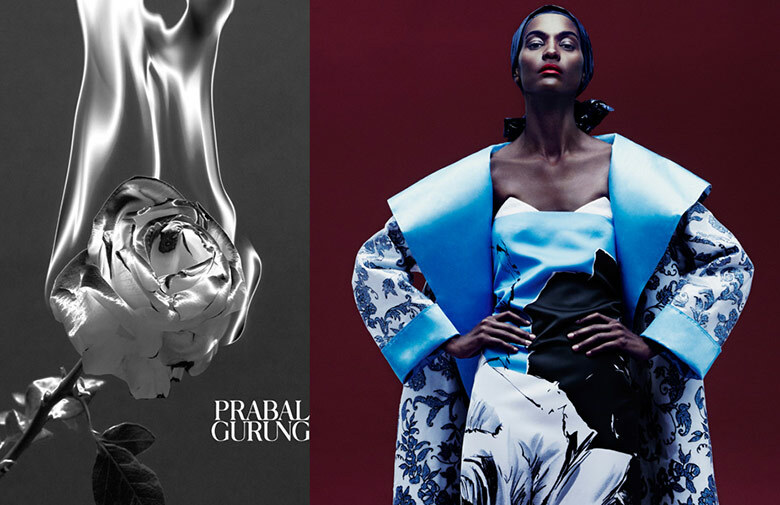 Liya Kebede and her gorgeous skin tone make the colorful clothing truly pop which brings true excitement and creates quite the buzz over the new 2014 collection of Prabal Gurung.